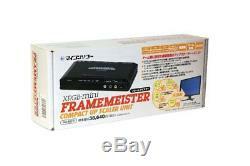 Framemeister N DP3913547 XRGB Mini Upscaler Unit From Japan EMS F/S. Condition: Brand new Manual: Japanese 100% GENUINE PRODUCT. This product is a JDM product (Japanese Domestic Market) Japan Usage Item. FRAMEMEISTER has video processing and functions suitable for games. By using this machine, you can convert analog video and audio to digital and display it on a TV or PC display with HDMI input terminal. It is also possible to display images on a personal computer display with DVI input (digital). 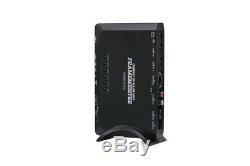 Analog video / audio of video / S / D terminal can be converted to HDMI signal. Since it is equipped with a low delay 2D / IP conversion mode (game mode) for games, interlaced video game screen can also be converted with low delay in this machine. Equipped with a zoom function suitable for portable game machines. HDMI input signal can also be converted by converting resolution. Since it corresponds also to the input of 21 pin RGB multi (horizontal frequency 15 kHz), the image of the old game machine with RGB output can be clearly converted. 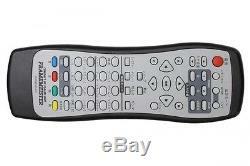 (Conversion cable included) Since remote control is attached, input switching from a remote place, screen adjustment is possible. It corresponds to firmware update by USB terminal. Equipped with microSD card slot, compatible with firmware update and future function expansion. 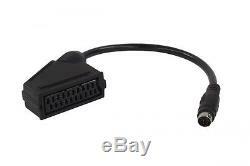 Note: This product does not include cables necessary for connection with game machines / video equipment and TV / display. Sometime SAL or Epacket takes a long time. About other area, please ask me. The reason why that happens is a post officer in your country does not update the info when the item get your country. If the item gets lost, I will turn a paper in a post office to research where the item is. I asked post office to improve the system, but please keep that in your mind. So, do not worry about it. Thank you for your understanding. This product is a JDM product (Japanese Domestic Market). (It might be more than a month). So please keep that in your mind before purchasing item. I correspond from the bottom of my heart. If it may not understand, please ask a question always. We will find any item for you. 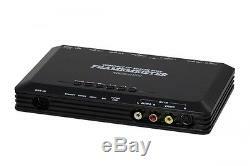 The item "Framemeister N DP3913547 XRGB Mini Upscaler Unit From Japan DHL express" is in sale since Saturday, June 2, 2018. This item is in the category "Video Games & Consoles\Video Game Consoles". The seller is "yosh-set" and is located in kyoto. This item can be shipped worldwide.